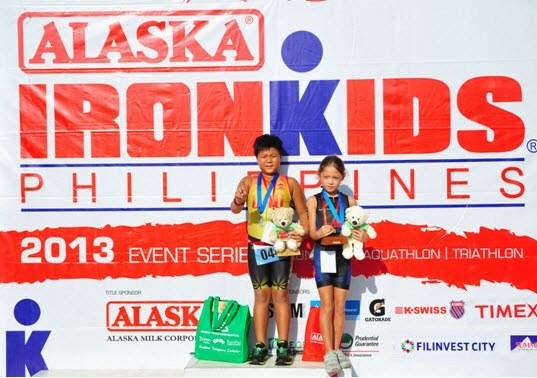 Close to 200 kids from ages 6 to 14 participated at the Alaska Ironkids Triathlon last October 20, 2013 at the Palms Country Club, Filinvest Alabang. The top finishers for the boys and girls division, 6-8 yrs. 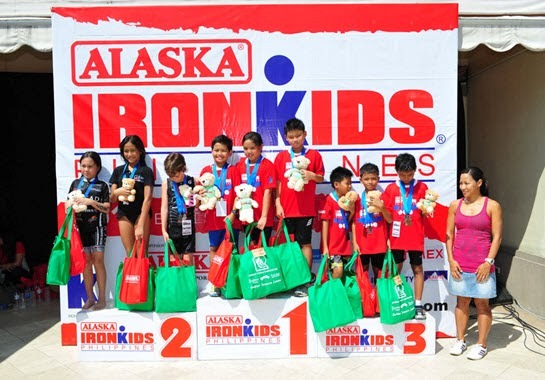 old, of the Alaska Ironkids Triathlon last October 20, 2013 t the Palms Country Club, Filinvest Alabang. (From left to right: 1st Place for the Boys, Vonn Destiny Luy and 1st Place for the Girls, Kira Ellis). 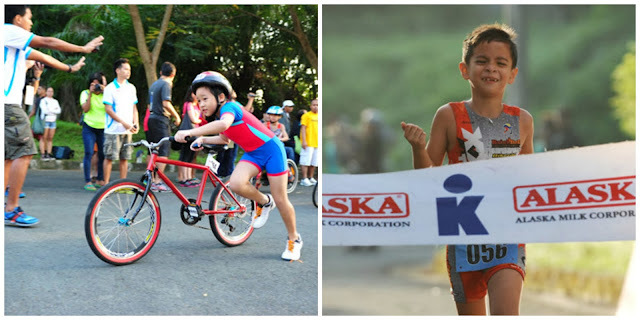 Meet the top contenders of the Alaska Ironkids Triathlon Relay last October 20,2013 held at the Palms Country Club, Filinvest Alabang.